Buy the Book & Get the Kindle e-book FREE! 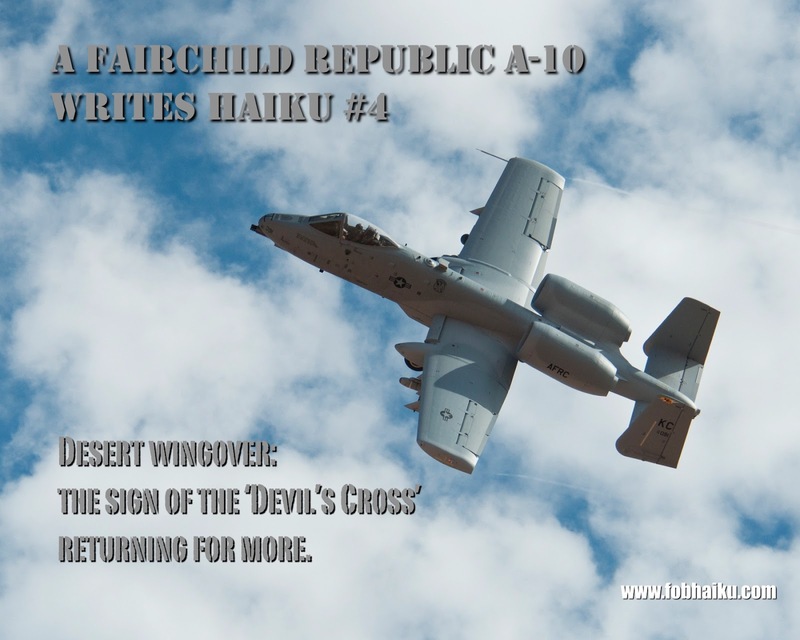 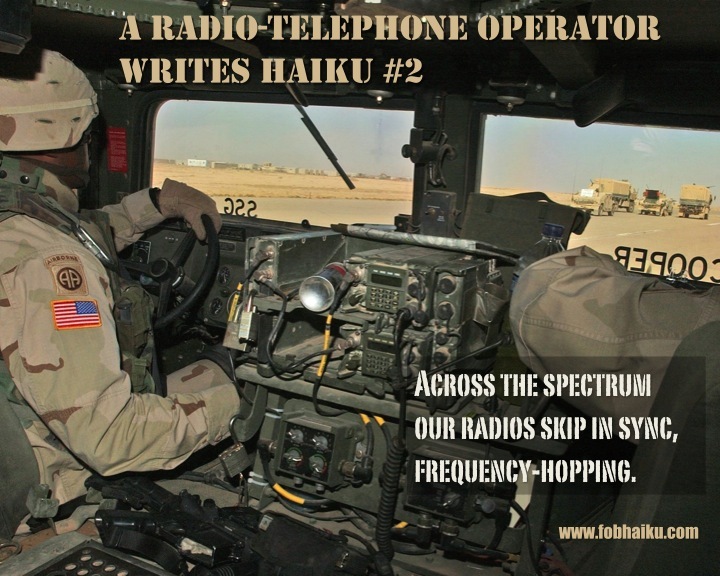 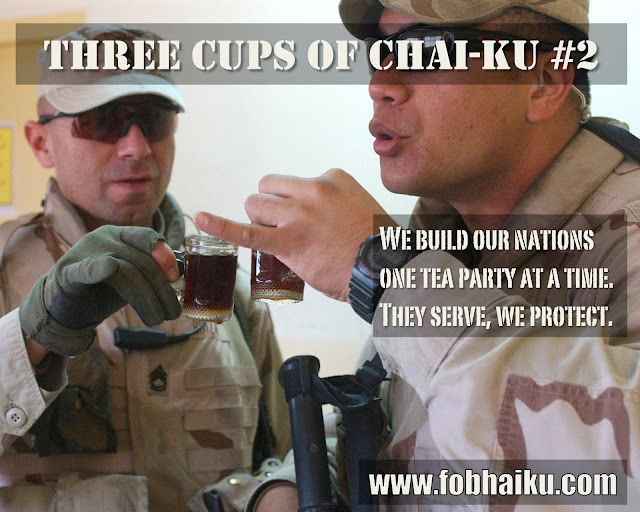 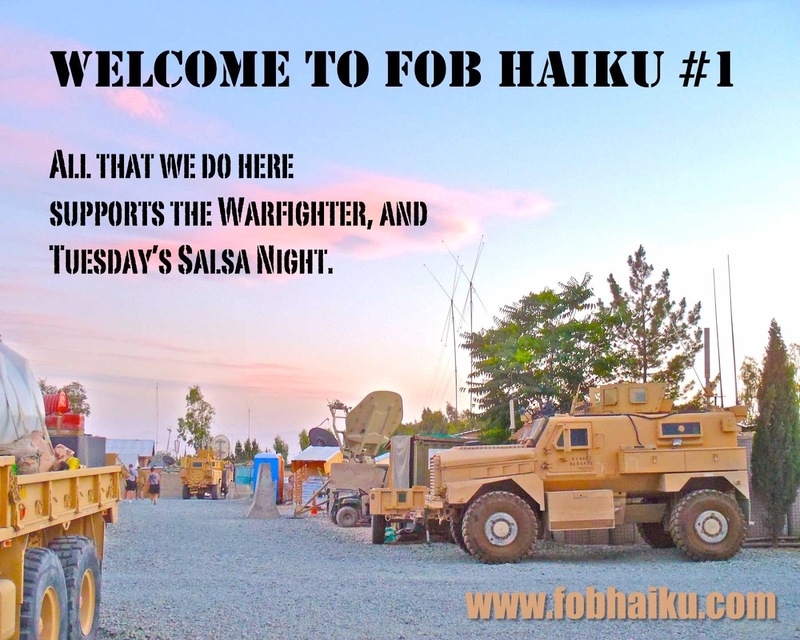 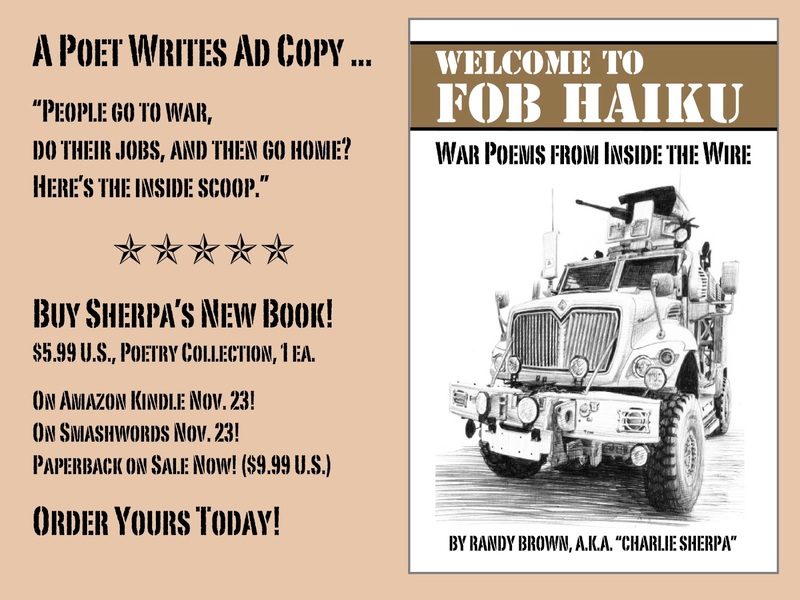 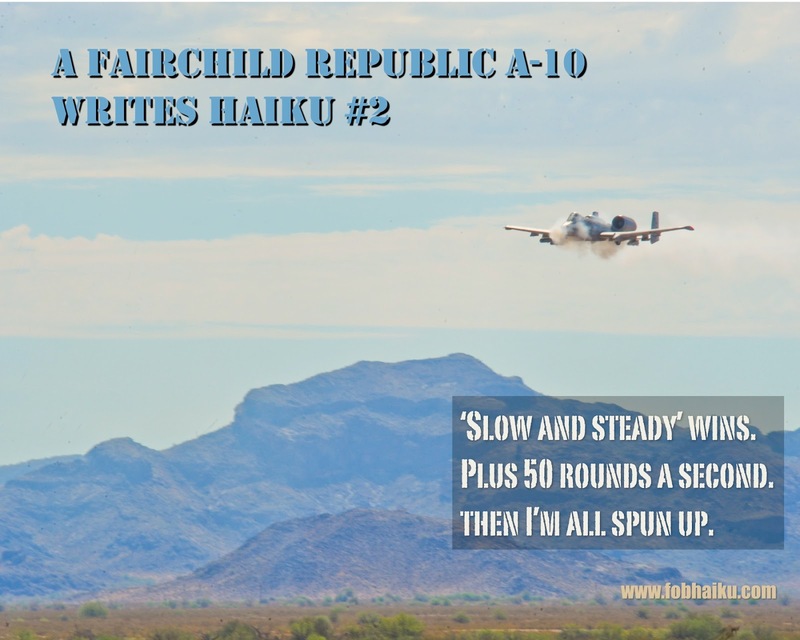 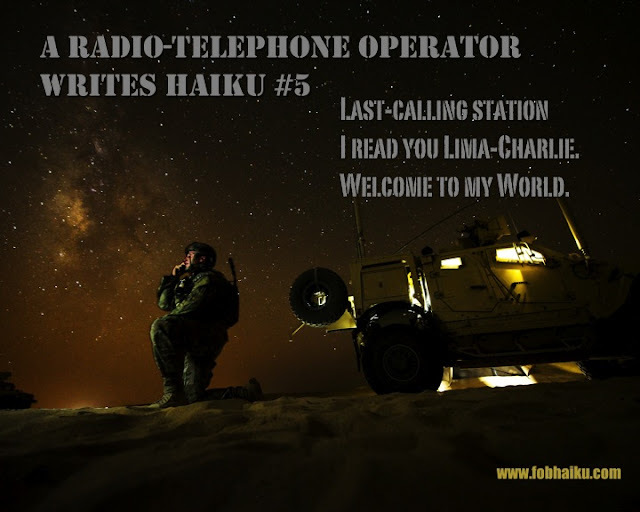 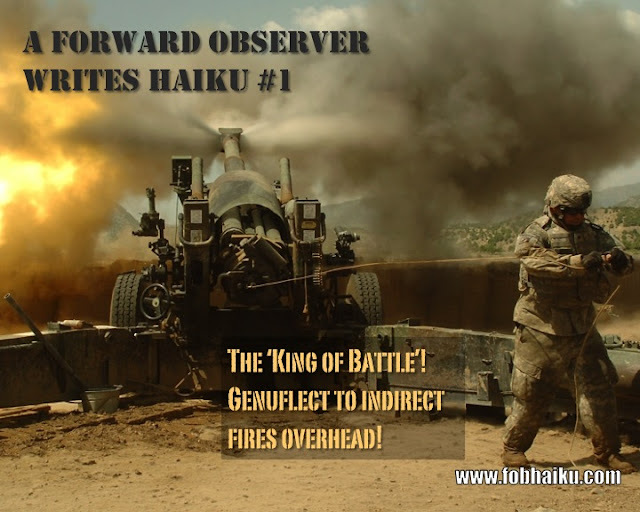 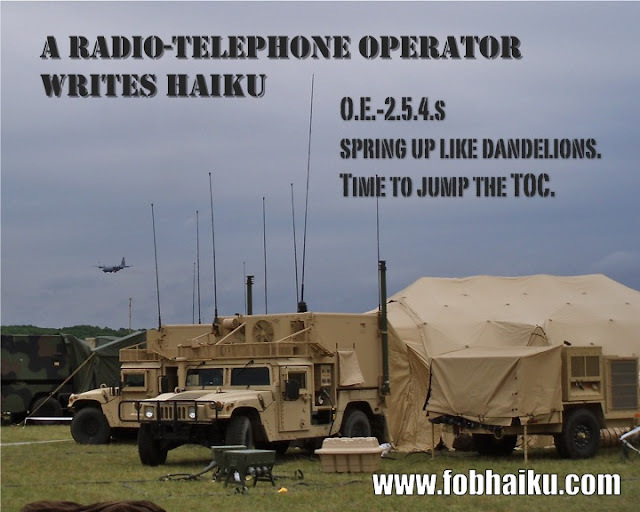 Thanks to everyone who has already purchased the $9.99 print edition of "Welcome to FOB Haiku: War Poems from Inside the Wire" by Randy Brown and Charlie Sherpa. We're pleased to announce that, through the Kindle MatchBook program, print-purchasers will also be able to receive a Kindle copy of the title for FREE! 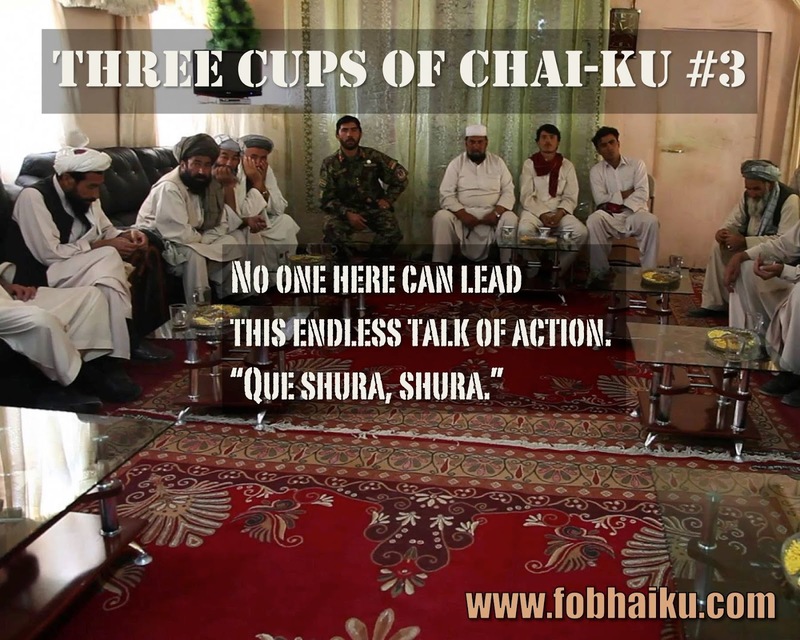 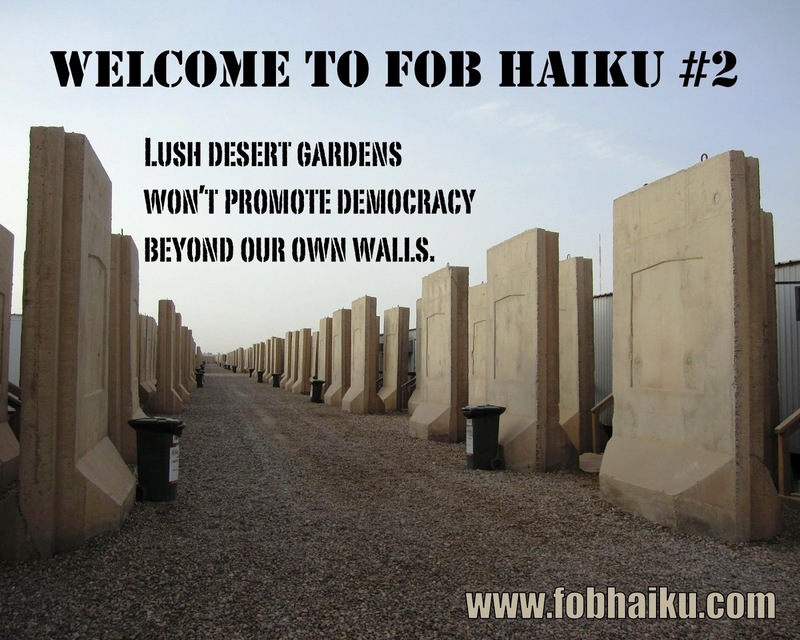 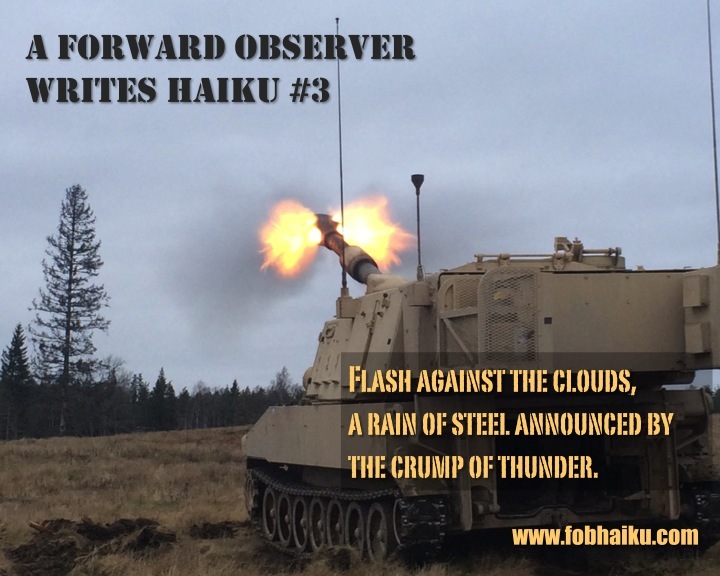 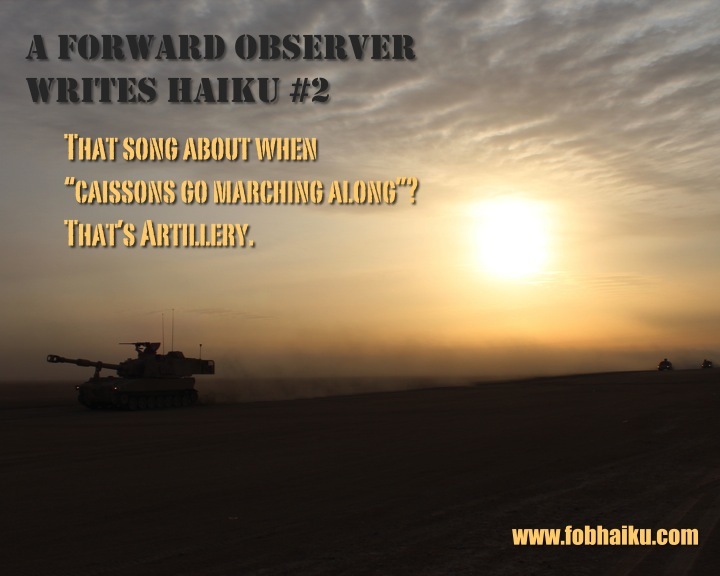 We also hope that you've been amused by our PowerPoint-like photographic slides featured at www.fobhaiku.com and on our book's Facebook page, which offer some samples of the haiku in the book. Feel free to like and share! 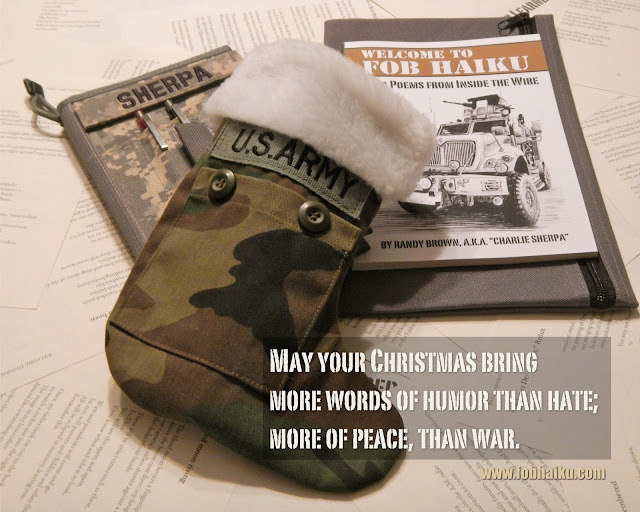 More are on the way! 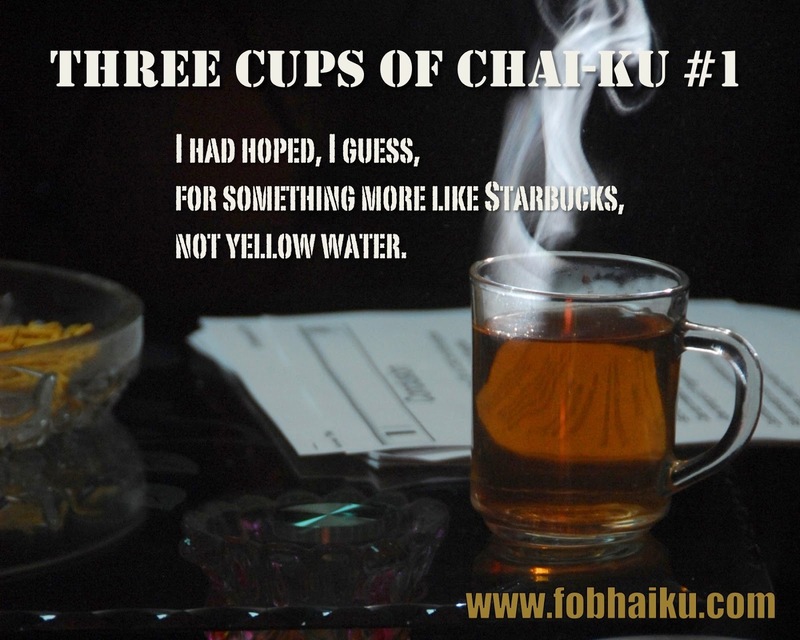 You can pre-order the $5.99 e-book for Amazon Kindle here! At Barnes & Noble here! 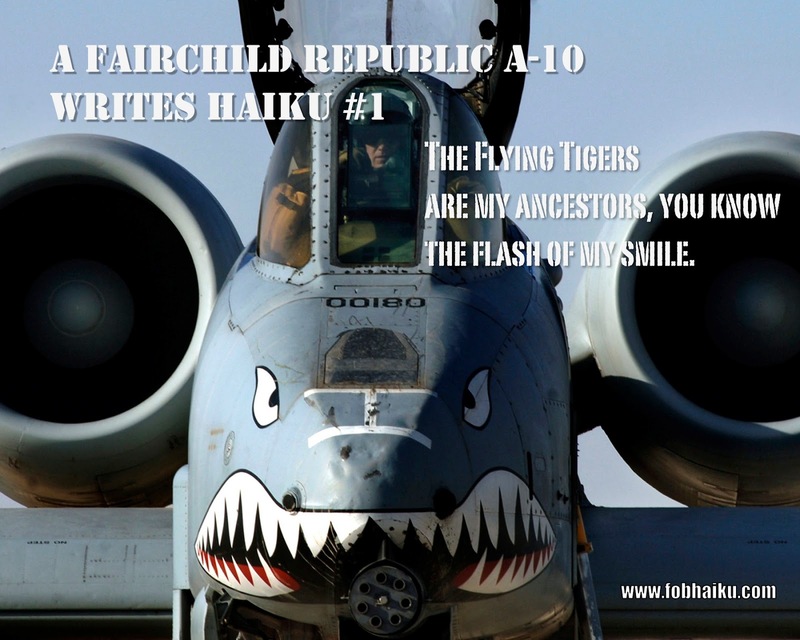 At Smashwords (multiple e-book formats available) here! 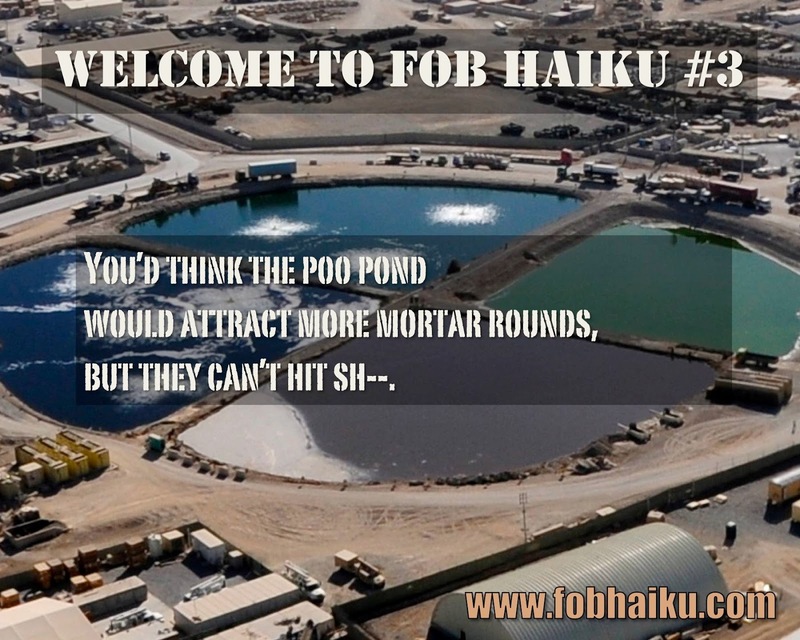 but they can’t hit sh--.